Last Christmas, doctors in Mumbai, India wrote to a medical journal describing four patients with a strain of tuberculosis that they entitled ‘TDR’ for ‘totally drug resistant’ — or unsusceptible to antibiotic treatment. These patients were incurable because first and second line drugs had no effect on them — over a dozen different drugs combined. When the Indian media got a hold of the story, they pressured the hospital into admitting the existence of twelve patients; all with the TDR strain, and only a couple weeks ago one of the patients with this TDR strain went missing from the hospital. Although the media has been putting pressure on the government as well as the hospital, Hinduja National Hospital and Medical Research center in Mumbai, the fallout of this new discovery is yet to be fully understood. The correspondence between the Indian doctors, Zarir Udwadia, Rohit Amale, Kanchan Ajbani and Camilla Rodrigues, and the Oxford Medical Journal reveals specifics about the TDR-TB cases. The doctors report that drug susceptibility testing (DST) was performed at Hinduja Hospital, which is “the city’s busiest referral laboratory and a Revised National Tuberculosis Control Program accredited laboratory for Mumbai.” All four of the patients were resistant to the first-line (isoniazid, rifampicin, ethambutol, pyrazinamide, and streptomyscin) and second-line drugs (ofloxacin, moxifloxacin, kanamycin, amikacin, capreomycin, para-aminosalicyclic acid, and ethionamide). The patients’ past prescriptions showed that they had received erratic, unsupervised second-line drugs — one of the leading causes of antibiotic resistance. Multiple private practitioners added the drugs individually and in incorrect doses — a clear red flag in TB treatment. India as a whole presented an estimated 110,132 cases of multi-drug resistant TB in 2006, which accounted for 20 percent of the world’s load. RNTCP has been a success in Mumbai but most of the patients that are infected with TB seek care from private physicians — the primary healthcare option in India. These private-sector physicians in India are often unregulated when it comes to practice and qualification. A study conducted by the doctors at Hinduja revealed that only five out of 106 private practitioners practicing in the crowded area Dharavi, the slum popularized by the film Slumdog Millionaire, could even correctly prescribe medication for a hypothetical TB patient. This misdiagnosis is one of the primary causes of antibiotic resistance in Mumbai. Maryn McKenna, writer of the Superbug blog for Wired, elaborates on the situation in an NPR interview. The primary questions trending the topic of drug resistant bacteria are always how and why. According to McKenna there is no concrete roadmap that can direct researches to how this strain of tuberculosis appeared in these twelve patients. Only four patient histories are completely known, and as in most cases of antibiotic resistance several factors play a contributing role. Misuse of antibiotics is the primary cause, whether it is in agriculture, or in everyday medicine. In the cases in Mumbai, however, the finger can primarily be pointed to misdiagnosis, faulty prescription of drugs and inconsistent lengths of courses. The immediate reaction of most United States citizens is: should we be fearful? Unfortunately we live in a world in which people travel from the Western Hemisphere to the East all the time, and tuberculosis is one of those bacterial infections that is hard to diagnose. Borders do not protect us. The thought of any kind of TDR TB epidemic is frightening, whether it is in a developing nation like India, or even in the United States. There is no feasible way to confine patients if there would be any kind of endemic TB outbreak. In under-resourced countries like India, where healthcare is less than ideal due to both the size of the population and the immense gap between the rich and the poor, the probability of an organized prevention strategy is almost nonexistent. As the Indian government and doctors at Hinduja hustle to control the situation, with confinement as well as preventive measures, the World Health Organization aims to determine the official status of TDR-TB. The WHO already identifies two drug-resistant strains of tuberculosis; multi-drug resistant tuberculosis (MDR-TB), and extensively drug resistant tuberculosis (XDR-TB). One of the primary doctors of these cases, Dr. Zarir Udwadia, reports that TDR is the best moniker for the strain they have seen in their patients. It is unlike both MDR and XDR. Paul Nunn, a TB expert with the WHO’s TB control department claims that ‘total’ is a vague term because labs never test against all drugs. Also, the Indian labs did not test against every drug on the WHO’s treatment guidelines. Although the WHO is unwilling to declare this new strain as ‘TDR,’ the Indian researchers suggest that this is a much more difficult form to treat than XDR, where some second-line drug options still exist. There have only been twenty cases of totally drug resistant accounted in medical history and by the end of 2010, 69 countries had reported at least one case of XDR-TB. Research continues both in Mumbai and at WHO labs to determine the official status of the TB strain. The primary concern of United States citizens, however, is whether the TB they know and test for will ever transform into XDR or TDR-TB. Basic Tuberculosis is a contagious bacterial infection that targets the lungs and often spreads to other organs. Mycobacterium tuberculosis causes TB, and breathing air droplets from a cough or sneeze of an infected person results in primary TB. Even though the TB infection is known to be dormant for years, and an infected individual usually develops symptoms well after they are infected, the chances of negligent antibiotic use are far less. In the United States, one of the most popular techniques of diagnosis is the tuberculin skin test. A needle with PPD, purified protein derivative, is placed under the top layer of skin and after a certain length of time either a negative reaction, no prior contact with the bacteria or a positive reaction can be determined. In the case of a positive response several other tests are conducted to determine the severity of the infection. When medication is required, the primary instruction is following the dosage and length religiously, something not regularly enforced in developing countries. When antibacterial drugs were first introduced in 1936, they revolutionized modern medicine by practically eliminating diseases like tuberculosis here in the United States. Those were simpler days, however, as our concerns were only focused on combating disease. Now scientists and researchers all over the world are working to compose new drugs to fight new emerging superbugs that trick their way into resisting conventional treatment. Antimicrobial resistance is not a novelty. Over the years bacteria, viruses, and parasites have all been adapting to medicine that they were previously sensitive to. Call it evolution, or call it something else, these microscopic organisms are managing to withstand attack so that standard treatments that once were enough to eliminate disease, now cause persistent infections. The result: prolonged illness, which often leads to death. Global organizations constantly have their red flags raised when any threats of superbugs pop up around the world. In order to combat drug resistance, organizations like the WHO try to respond using policy guidance, support for surveillance, technical assistance and even knowledge generation. In the Mumbai cases several of these factors could have been improved. If the patients were educated about the dangers of antibiotic resistance and the threats of epidemic, then they might consult government regulated medical resources in lieu of private practitioners. 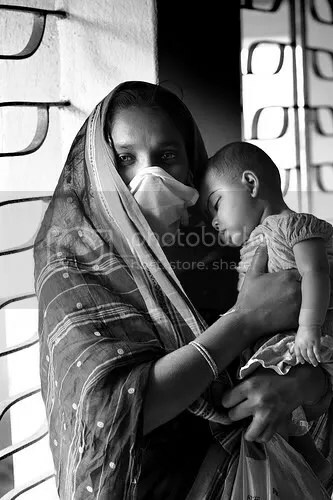 Furthermore, policy that requires doctors in India, particularly the ones who have private practices, to be responsible of new protocols and relevant research being done on important infectious diseases such as TB could greatly benefit the poor — the primary demographic carrying TB. ← INTERNATIONAL ORGAN TRADE LEGALIZED? Do you have any idea if these TDR TB cases have resulted because of HIV-induced tuberculosis? I have not come across any mention of these cases being linked to HIV induced TB. Most of the research claims that unregulated medical care is the primary cause of TDR TB.